We’ve got 8 more inspirational and unique places to stay on your next New Zealand holiday, for budgets big or small! One of the South Island’s brightest gems, Kaikoura is a rugged ocean paradise. The Hapuku Lodge invites in with pure luxury, country style; laze in the pool/sauna while gazing at the mountains… it’s just a short trip down to the ocean for whale watching, or a surf lesson on one of New Zealand’s best surf breaks! The Portage Hotel is a favourite with visitors walking the Queen Charlotte track but offers plenty of fun closer to home in the Marlborough Sounds… the beaches are secluded, and the seafood is the freshest around. Grab a kayak to explore on the water or book a scenic flight for the aerial view of this magical place. 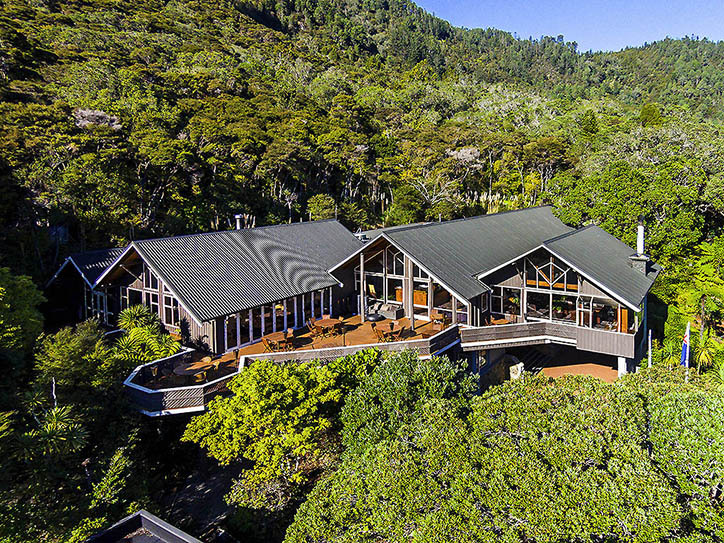 Set in 25 acres of native bush on the Coromandel, the Grand Mercure at Puka Park is boutique luxury with a beach twist. There’s a tennis court on-site, just minutes away from 3km of golden beach. The best moments may come on the deck with a glass of wine, enjoying the view over the bush. Hanmer Springs is loved for its natural thermal pools, rolling hills and mountain vistas. At the Braemar Lodge you’ll be treated to your heart’s content, with a full day spa plus a fantastic menu in the dining room showcasing seasonal produce, including local venison. 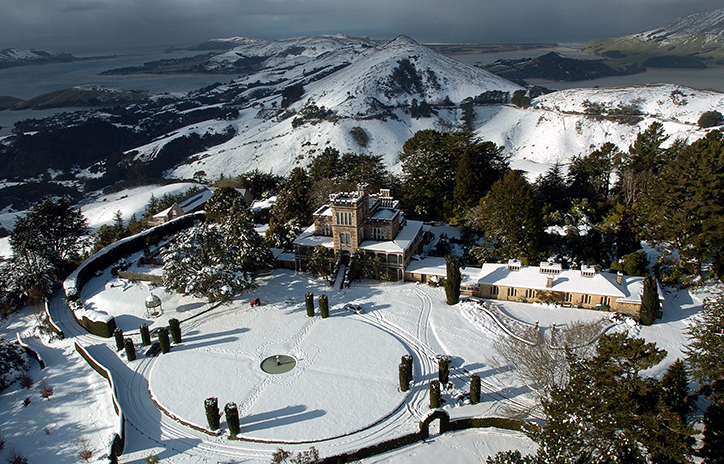 New Zealand’s only castle, Larnach Castle sits imposingly atop the Otago Peninsula, just a short drive from Dunedin. Go for the history and gardens, stay for the views and plush accommodation! Rooms are available in the stables for a competitive rate, and luxury options are offered in the Lodge which sits in the majestic grounds of the castle. They say this is “where luxury, food and wine meet”, and it’s easy to see why… this restored monastery in the Marlborough sounds has 16 acres of beautiful grounds, luxury suites and is in the heart of Marlborough’s vineyards. Paradise! Undoubtedly the most unique accommodation in New Zealand! 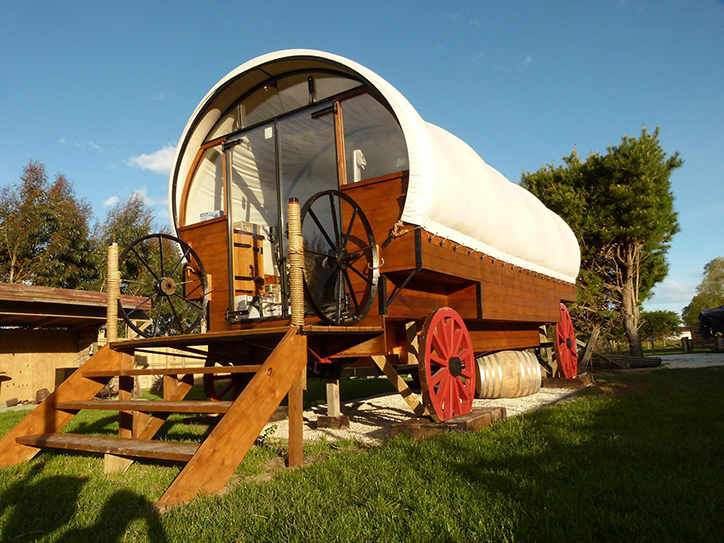 From a Yurt to a Colonial wagon or a train carriage, Wacky Stays allows you to stay in comfort in a variety of quirky accommodation in beautiful Kaikoura. 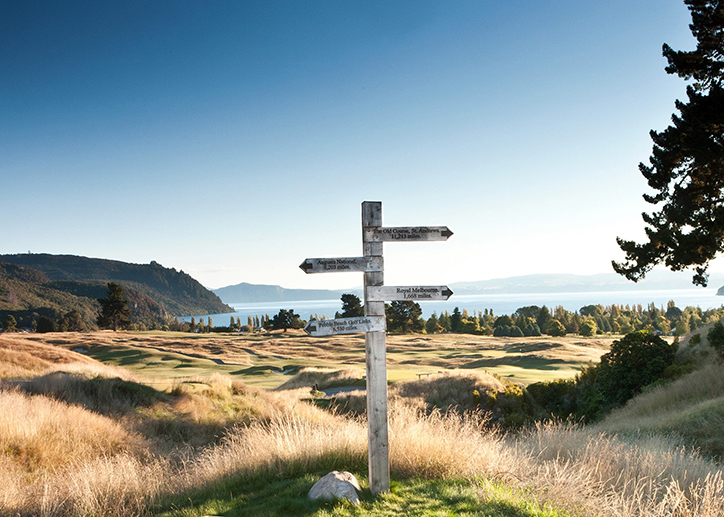 Featuring New Zealand’s only Jack-Nicklaus-designed golf course, the Kinloch club is arguably Taupo’s most desirable place to stay. With luxury villas featuring bespoke design, you might not want to leave your room, but it’s worth heading out because you’re on the doorstep of the Tongariro Alpine Crossing, and some prime fly-fishing spots. Looking for something a bit different? Book a unique holiday with Relaxing Journeys.